Cutting the cable cord isn’t about getting all your TV and movies for free. 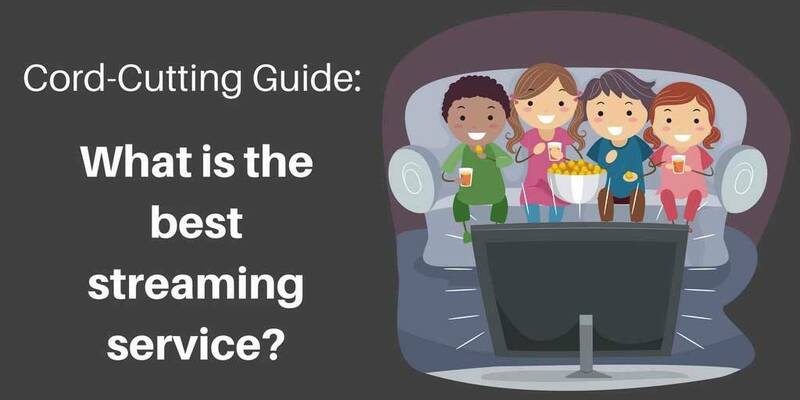 It’s about finding the right balance of streaming services – free and paid – that will help you get the content you want at a price that’s cheaper than your cable TV subscription. The bottom line is that if you want streaming to be simple then paid options have to be part of the plan. The same goes for quality. If you want the best possible picture, it’s going to cost you a little. Price: Did I mention that it’s free? *If you’re buying your first streaming media player, I created a perfect starting point to learn more about TV boxes. Or, look here if you’re just looking for a good, cheap Android TV box. One other thing I have to point out: if the service is free, it will either have ads or it will be selling your viewing habits and information. Remember, if something is free, you’re not the customer…you’re the product. Not that that’s a bad thing. And not everything worth watching will cost you. There are a couple of really good free streaming services, but they service niche markets. You won’t find the most popular movies and TV shows there, but you’ll definitely still find stuff worth watching. My own personal streaming portfolio has a couple of main components to it. For what I want, I only need a couple of premium streaming services to get my live sports and movies. I get the majority of my paid content through Netflix and Amazon Prime Video. Both offer 4K streams over multiple devices. I figure, if I bought a 4K TV, then I might as well try to get the most 4K content that I can, right? Otherwise, I’ve wasted my money on the TV. I was already an Amazon Prime member, so the video streaming service is just an added bonus to me. For live sports, I’ve tried both FuboTV and SlingTV. I’ve recently switched from FuboTV to SlingTV because it has the same content (for me) at a lower cost. Since the point of cord cutting is to save money, I can’t really argue with that. FuboTV has some options that SlingTV doesn’t, so which one I go with depends which sports season it on right now. If you’re a fan of American football, check out where to watch NFL games online. SkyStream Live TV may be a newcomer, but it’s gaining popularity quickly. Since cable alternatives have been around for quite a while, you might wonder what sets it apart from the rest. We get up close and personal in this review, but the TLDR is this: SkyStream Live TV is a low-cost, feature-rich live TV streaming service. If your friends or family members want to view multiple screens at once, it’s possible. Amazon Prime Video is probably the best streaming service that you could be paying for and never using. Seriously. There are 50 million Amazon Prime subscribers. Every one of them has access to Amazon’s video streaming service. But, few actually do. And that’s a shame. Amazon Prime Video is a different beast than the rest of the streaming services on this list. Because, it’s not just a streaming service. You can’t talk about Amazon Prime Video without talking about all the benefits of Amazon Prime like free 2-day shipping, online photo storage and Kindle rentals. This is one video streaming service with a lot of side perks. But we’re really here to talk about streaming. Amazon Prime Video has over 18,000 titles available. The trick is that while many are included with your Prime membership, many others are available for purchase or rent. The cost works out to be $8.25 per month, but its billed on a yearly basis at $99 per year. If you have a valid .edu email address you can get 50% off the yearly price. That makes the cheapest streaming service an even better deal. Any discussion about the best streaming service has to start with Netflix. For most of us, Netflix was “step one” in our cord-cutting experiment. If you live in the United States, Netflix boasts just over five thousand titles in their library as of this year. The totals for other parts of the world are going to be less. In Canada and the UK, the library will be around three thousand titles. Expect these numbers to change monthly as new titles are added or removed. One of Netflix’s strengths is a growing lineup of original content like Daredevil, Jessica Jones, Orange is the New Black, House of Cards and 13 Reasons Why. If stand-up comedy is more your thing, you’ll also get a whole lot of exclusive comedy specials. Netflix can be picky about what devices it allows to stream in HD and 4K. Many generic Android boxes will be limited to standard definition. To find out more, check to see if your Android TV box can play Netflix HD or 4K. For only $20 a month, Sling TV gives you access to over 30 channels, including ESPN and Disney content. For most sports fans, that’s all you needed to hear. Sling TV is a live TV replacement plan, owned by satellite TV provider Dish Network. That means that Sling is able to access Dish’s existing relationships with the major TV channels and get access channels like ESPN. There’s no binge watching or DVR functionality here. This is simply a great way to get that live content you’ve been missing when you cut the cord. There are two pricing options: Sling Orange and Sling Blue. Each offers slightly different channel lineups, although there is some overlap. Plans start at $20 per month. I’ll admit, I’m not the biggest fan of Hulu. So why’s it on this list? Simply because no other service has faster access to current seasons of TV shows. Hulu is partially owned by ABC, so most of their content will be on Hulu. There’s even an option for live TV, although it jumps the price up to $39.99 per month – roughly the cost of both Netflix and Sling TV combined. Hulu, like Netflix and Amazon, have put a big focus on creating their own original content. Unlike the other two streaming services, Hulu has had, well, mixed success. Only The Handmaid’s Tale and The Mindy Project are household names. 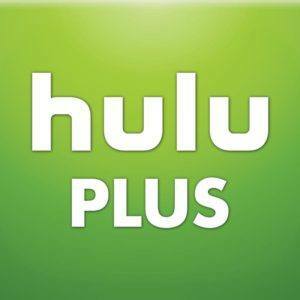 The main reason I’m not a fan of Hulu is that there are still commercials – even on the paid plans. Still…if you absolutely have to have the current seasons of your favourite TV shows and can’t get them any other way, Hulu Plus is a pretty good option. One of the newer additions to the streaming arsenal is fuboTV. When I first dropped my cable TV subscription, the thing I missed the most was live sports. Especially if your favorite team isn’t the local team, finding the games you want to watch can be difficult. That’s where fuboTV comes in. 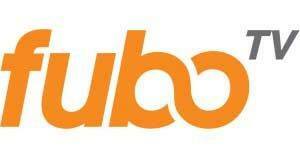 FuboTV is geared for the football fan – soccer if you’re in the United States. But there’s much more to it than just soccer. There are several plans available. The basic plan starts at $14.99, but the real star is the $34.99 Premier plan with over 60 channels available – half of them live sports! The other half of the channel lineup includes MSNBC, SyFy, E!, History, Fox, Fox Business, A&E and Bravo. For all the details, check out my full fuboTV review. Crackle is one of the best choices if you’re looking for a free streaming service. It’s owned by Sony, so it’s got a pretty big backer in the entertainment industry. It doesn’t have the newest content, but it does have a sizable library including Seinfeld, The Shield, Last Resort and News Radio. There are also a number of original series like Comedians in Cars Getting Coffee, Sports Jeopardy, StartUp and The Art of More. One of the drawbacks of Crackle is that it has commercials, just like if you were watching broadcast television. You’ll get about 2 and a half minutes of commercials every half-hour. As I mentioned in the beginning of the article, there are some trade-offs if you’re watching a free streaming service. This is one of them. 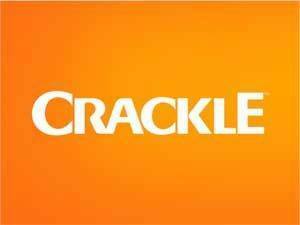 Crackle isn’t going to take the place of Netflix or Hulu Plus. It just doesn’t have the number of titles to compete. Still, Crackle is a solid choice to help fill out some gaps that the big boys don’t offer, without breaking the bank. Remember when watching someone play video games just meant that you were waiting for your turn? Twitch is pretty much the same concept, except it never becomes your turn. A whole industry has started around watching people play video games. Many users will superimpose videos of themselves over the screen, allowing you to see them as they’re playing. There’s also a chatroom where you can add your commentary along with everyone else watching the channel. Twitch is a free service, and you can even watch gamers without having to sign in. There’s also Twitch Prime, which you get free if you’re an Amazon Prime member. Finally, there’s Twitch Turbo which provides ad-free streaming with the revenue going directly to the gamers that you watch instead of to advertisers. Love your information, thank you for all you do. Tim, in 10 months, or maybe a lot sooner, I anticipate cutting the cord. At a rate of just a “minuscule tad” under $200 every month for cable (triple play), I’m ready to begin saving some money, and I am willing to sacrifice in doing so. I’m wondering if Sling TV offers pay per view sporting events “inclusive” within any of their plans, no additional cost(s)? Even keeping Internet with my current cable provider I believe I can shave about $110 every month cancelling everything else. I already have Netflix, so I’m quite certain that I can devote some savings toward an additional service and still put money back in my pocket. I think we are long over due for viable alternatives to “the cord”. Thank you sir !! why wait 10 months? that will over $2,000 dollars wasted-I dont inderstand your delay and I dont understand what you mean by you are will to make sacrifices? It would have been nice if all the content producers formed am association and they used that as a platform to Bill users of the addon on Kodi. I wouldn’t mind paying 50$ a month to get access to all my TV shows and movies in one place. I think we will see a unified interface before we’ll see the content producers getting together. They’re in direct competition with each other, so there’s no incentive for them to work together. The device manufacturers? That’s a different story. You’re already seeing the beginnings of it with the Google Android TV interface and Amazon’s Fire TV. Their voice search functionality will look across services to find what you’re searching for. They have their flaws, sure. The biggest is that they prioritize their own services. But, At least they’re headed in the right direction. Check out istreamitall. It’s a legal service (they’ve been to court and it was ruled as an online dvd rental service). They have all of the newest shows, although you have to wait until the next day sometimes. Also a great selection of older shows and movies. Sorry about the all-caps. I don’t have my cap lock on. I can’t get lower case for some reason. Just one other thing what is a valid edu email address? Hi Peter. Thanks for the comment. An .edu email address is a college or university address. You can get one by taking classes or working for the school. In my case, my old undergraduate email address worked. I’m a huge fan of Plex, Paul. Actually, I find it easier to use than Kodi. It is designed to play your media anywhere you are, so it’s more of a media center than a streaming service though. I use Plex when I’m not at home and still want access to all of my movies, music and videos stored on my home network server. Great article. . One problem.. Most if not all of those services are for USA only. Except Netflix, I know. What about English speaking international cable cutters??? The options are going to be more limited. But, some of these services will work outside the US. But the better option is to use a VPN to beat the geoblocking that the services use. If you don’t live in the US, the VPN can make them think that you do. Hey Tim, Netflix and Amazon prime both use geoblockers an they do not work with vpn’s. They will tell you to turn it off before viewing. I have to use my iPhone’s internal vpn to access those. Hi Tim, I know its a sore subject but its all down to money. IF the big providers were not so greedy then more people would be willing to pay. One particular provider as increased cost to the customer some 200% since its launch and is now the biggest moaner regarding streaming. Its common sense in my book to give value for the many and not value for the few at a high price, when will businesses learn? Can you use Amazon Prime in Canada to stream? I was informed that you cant get Amazon prime services in Canada and only found that out after bringing my fire stick home after using it and Amazon prime in the USA? As most of the comments on your site reflect everyone I have talked to would pay any reasonable fee to get services, and the only reason they look for alternatives is the greedy cable companies milking the consumer pay for what the don’t need. Cant wait for the day we can have a A La Carte choice at a reasonable price. Netflix stands out in this domain. I think YouTube TV should now be in the discussion with Sling. Especially now that you’ve titled the article, “Best Streaming Services In 2019” you do need to include “youTube TV”. I’ve tried most of the others that you cited in the article, and YouTube TV is my goto streaming service. Will keep this in mind for the next time we update the article. I am not seeing PlutoTv here which is free and I enjoy watching on my PS4 or Mac/PC. Great article, I didn’t know about some streaming services shown. For a FREE service, I found the best movies on TUBI TV, although there are commercials (lots of)! Hi can I take my android T95 down to the Caribbean country will it work. This is the question? Great article. My problem is Im in New Zealand and love sports like Rugby, Cricket, Netball, League etc. but trying to find a provider either legit or otherwise is a mission. Like you we have a paid service provider in Sky but they have unreal charges like your cable therefore force use to look at alternatives. Most if not all your advice relates to US, Canada and the UK not us down here. Do you or anyone else have any suggestions on how we can access the sports we watch through alternative providers other than sky. I have a skystream box which I find great. I also use Nordvpn. Im more than willing to pay a provider so long as its value for money.